It has been stormy all weekend and this morning is grey and cloudy but I am embracing it with an oddly sunny disposition. My sister was here for an impromptu trip from Montreal for the past few days and it was lovely — a little beach, a little shopping, a lot of wine…as sisterly visits should be. Look around! My blog got a facelift courtesy of the lovely Lizzie at HIPHELLO (who, in true 21st century form, I have only met via Twitter and never in real life) and I love it. Check it out on Facebook, too. 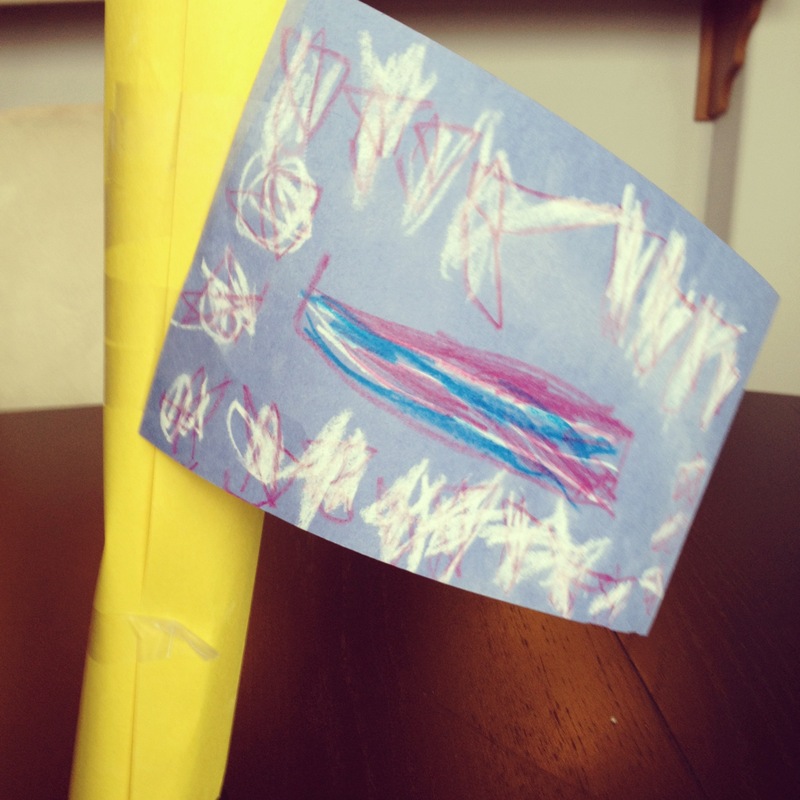 We have a family flag now, courtesy of Little D, perched right in the center of the dining room table (above). I recommend you get one, too. I got a new writing gig! So so so excited to be contributing to a well-known site in the coming month on all things fashion and home for mamas. More to come! I got a $100 gift card to spend at Neiman Marcus. This was my first purchase, can’t wait to try it out this week. Finally, tomorrow night I am meeting up with an old friend from high school for drinks. I have not seen her in close to 20 years. We reconnected via Facebook a while back and she’s in town so it should be a nice little evening strolling down memory lane.